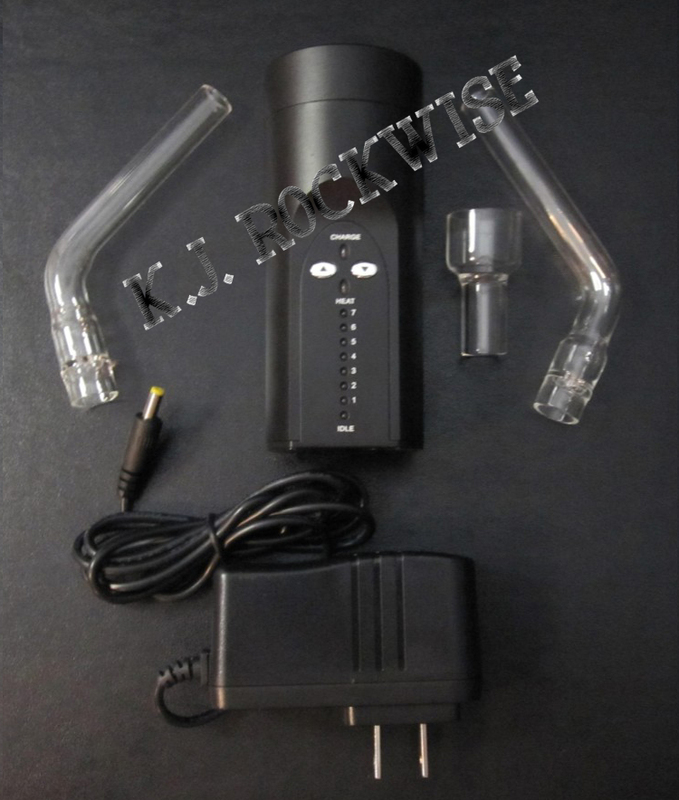 Discussion in 'Portable Vaporizers' started by Rockwise, May 27, 2011. 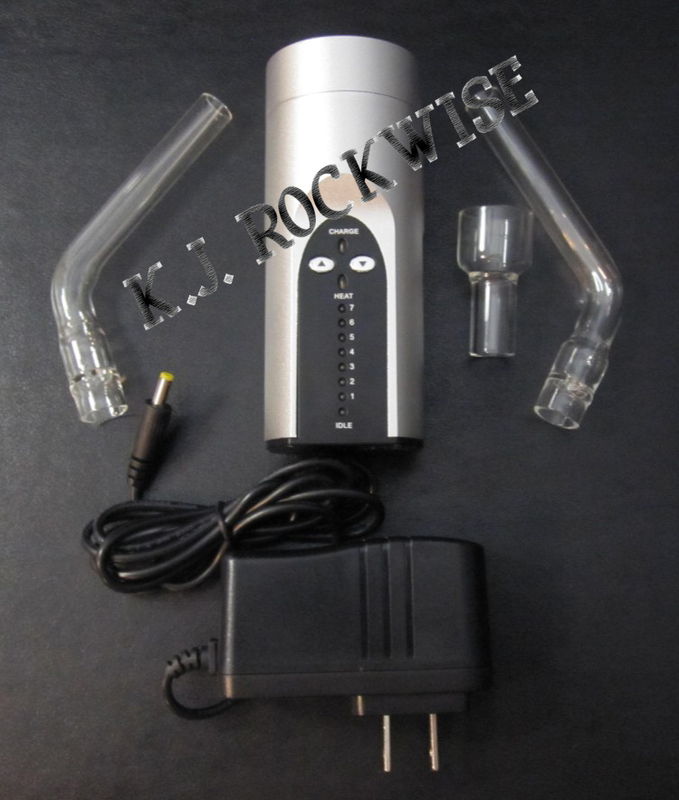 The Solo, manufactured by Arizer. The Arizer Solo is the newest innovation in portable hot air technology. This amazing product is sure to impress with its variable temperature control, small lightweight design, fast heating ceramic heater with fresh air intake, long lasting litihum battery, and ease of use! Meets UL, EU, and CSA requirements. Comes with a 2-Year Manufacturer's warranty! Made in Canada with only the highest quality materials and designed to outperform its competition, the Arizer Solo will be one of the best investments you've made in a long time! vjohns1234, Detonator, budz and bhombs and 5 others like this. Looks sweet. How big is it though? Like the size of a soda can? vjohns1234 and JoeKickass like this. Looks awesome! Any videos available? Other details? Expected price range? No videos available yet. Retail Price is $299. Available now. i think a Redbull is smaller than a can of Mt Dew, eh? What are the dimensions (i don't vape RedBull)? How long does the battery last? Is it just LiPoly or is it LiFePO4 -- could be one or two 18650s? What temperature do the numbers represent? How fast does it heat to vape temp? Does it remember the last vape temp setting? vjohns1234, aussem9 and JoeKickass like this. Cool! Now I see that it says "Charge" on the top. . . How long will the battery last per charge, and what is the standard time that it takes to charge? Also, can the unit be safely used while plugged in? Heater is ceramic, mouthpiece bat is all glass. Battery charge lasts between 3-4 hours depending on temperature settings used. Takes about 4 hours to charge fully. This unit cannot be used while charging with the standard charger, but another charger is available for purchase that can charge the unit while in use! Heats up to temp in about 1 min 30 seconds. When you turn the unit on, if you hold the down arrow button for a couple seconds it goes back to your last temperature setting used. I'll have to get back to you about the battery type and temperatures. I will do my best to respond to those questions tomorrow, and I'll post more pics then as well. vjohns1234, DieHard and JoeKickass like this. If you could get some videos up that would be a deal maker/breaker for me. But so far looks awesome! I'd also love to see a video...how it loads, etc. Exciting stuff Thanks for the preview...now we're hungry for more info of course lol. Oh and is the battery user replaceable please? ataxian, vjohns1234 and JoeKickass like this. I will work on a quick informative video this weekend and post it on youtube ASAP. It's easy to load, just pack some flowers in the bottom of the bat, and insert into the top of the heater... then vape away! I'll make this procedure clear in the video. The battery is built in. Over time, if the battery dies I am pretty sure it will be replaceable... I'll find out for sure and get back to you. Made in Canada? Nice. Isn't the extreme made in china? If so it's nice to see the change. Airpath purity? Fc discount? Vapor density? Up to 4 hours of vaping on a charge, for real? Ease of cleaning? Can it be used with concentrates or will that compromise the unit? Is battery modular so spares could be carried? Does the bowl get hot and create unwanted conduction vaporization or does it stay cool so all vapor is on-demand convection? Temp range? Any plans for a waterpipe adapter, is heat retention up to that task? Need a beta tester? Whats My horoscope? I for sure am interested in this. Forum Policies Do not ask to beta test. Hashtag46&2, vjohns1234, RastaBuddhaTao and 1 other person like this. Any exposed wires or circuitry in the vapor air path? Hashtag46&2 and vjohns1234 like this. All Arizer products are made in Canada. Some of the glass parts are made in China, but it's a misconception that the EQs are made in China. I have to argue this point all the time, people just can't seem to beleive such a good product could be made in Canada, but I have a close working relationship with the manufacturer and I can assure you that Arizer products are made in Canada. Airpath is separate from battery and circuitry, completely clean, toxin-free vapor! Up to 4 hours of vape on one charge at low to mid temps. FC Discount - check out the retailer announcement thread / email us directly. Very easy to clean. Can be used for flowers, waxes and resins! Battery is not modular, comes with a charger like a cell phone. The unit shuts off after 12 minutes. That's all the time you need with one loaded bat, but if you wanna keep vaping just turn it on again. The bowl does get warm, if you turn it on, you'll want to vape it instead of leave it heating up for no reason. Heat rises so if you're not vaping you will loose a small amount of vapor out the top of the bat. Save your herbs and your battery life - only turn it on if you want to vape. Hashtag46&2, vjohns1234, Weedsteamlover and 1 other person like this. Cheers! Keep up the good community interaction and get those vids up. Hashtag46&2, vjohns1234, JoeKickass and 1 other person like this. Damn it Arizer. I was just thinking, I may have been spending too much on vapes recently, but I have been interested in this one since it was first mentioned around a year ago. Seems to be a solid product from a solid company, but time will tell for sure. Anyone taking the plunge? I might wait a month or two. vjohns1234, DJ Colonel Corn and JoeKickass like this. Gotta love the potpourri dish! Very cool to see this finally come to fruition. Best of luck to Arizer with this endeavor, my interest is definitely sparked and I'll be keeping my eyes on this one. What is the relative (or absolute) size of the bowl/bat? Are the glass pieces boroscilicate? Is there a car adaptor for charging? Is there any possibility of accidental (or intentional) combustion? Hope you stick around Rockwise, thanks for all the info. EDIT: I couldn't resist a canadian portable with internal battery. Hopefully it is everything I hope it to be, a thorough review coming up very very soon! Does it require "stirring" or is it as with an HerbalAire or an Oracle? Egzo, my HA (another Canadian by the by) extracts ridiculously thoroughly. I don't think any vape would get more out of a HA bowl which was taken all the way to 400f. Asking the solo to do it is a tall order. does it also give you wiiiings? looks/sounds awesome though, cant wait to read some user reviews and maybe pick one up some day. VapeHeadz, Hashtag46&2, vjohns1234 and 1 other person like this. You said it could not be charged while in use. You also said there was a separate charger that would allow charging while in use. Can unit be used from direct current if the battery is low? Even if not charging during this use.. being able to use it plugged in ALSO would be good for me. vjohns1234 and ataxian like this.